Working in an office can be hard when you have to sit in front of a computer all day. Did you know that the air conditioning in your office can also affect the way you work? Working in conditions that are too hot or too cold can affect your ability to work effectively and efficiently. Australian temperatures can be very extreme, especially in summer time where temperatures regularly reach 40 Degrees Celsius. Trying to work in an office without air conditioning can be very hard and sometimes impossible. If you work in an office that doesn’t have air conditioning or has the temperature up so high or low, then there are a few things you should consider to help make office conditions better for everyone. Creating a comfortable work environment for your employees will increase overall productivity. Working in conditions that are too hot means workers become tired, irritable, sluggish and sometimes even feel sick. Alternatively, if the work environment is too cold then workers can suffer from cold and stiff joints (especially fingers), feel low on energy and find it hard to concentrate and focus. When the air conditioning is programmed to a comfortable temperature then you will notice your employees spring to life. A work environment that isn’t too hot or cold means employees work much harder and are much happier in general. Did you know that there is a sickness called Sick Building Syndrome? This condition is caused by cold temperatures that not only irritates the respiratory system but drys out eyes and skin causing additional problems. On the other hand, working in hot conditions can cause employees to sweat much more than normal meaning they dehydrate quickly. Heat stroke and heat rash are also possible due to excessive perspiration. Keeping your air conditioning unit at a consistent temperature (depending on season) will prevent these health issues from happening and reducing sick days. Air conditioning can also help to remove allergens in the air during spring. This is due to filters removing any airborne allergens that could irritate your worker’s eyes, noses and skin. An air conditioning unit placed in main sections of your office will work wonders to keep your business popular. During the warmer months, you will find that customers are very grateful to businesses that keep their office cool. If your office is located in an area with high foot traffic, the lure of cool air will keep your office full with the people that really help you make money. You will also find that if your office is cooled or heated as required that customers will spend more time in your offices. A comfortable working environment will not only work well for employees but customers as well. If you run any heat sensitive technology in your office then air conditioning is a must. Machines will be able to run for longer without overheating or breaking down. This will allow your employees to work with the technology they need to get the job done. Cooling your equipment will mean that you are also not needing to spend any unnecessary money on repairs and maintenance due to hot conditions. Your employees will also benefit from a cooler environment as many machines, especially large servers can emit a large amount of heat. 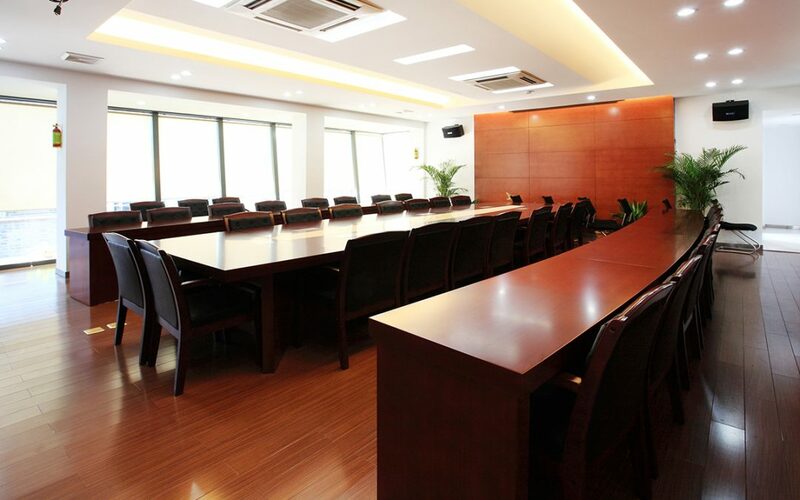 Commercial air conditioning units are perfect for cooling down offices. This type of unit is designed to cool larger areas for long periods of time. At Apex Airconditioning, our team are experts in commercial air conditioning types and will be able to give you all the information you need to make the right air conditioning choice for your business. We are also well versed in commercial unit maintenance. This means we can ensure your unit is working the way that it should, cooling and heating your employees all year round. Regular maintenance to your commercial unit is important. Without it, you will find that over time your unit will not heat and cool the area efficiently, have an increased power bill and may cause water leaks in heavily hot day during summer. All maintenance, repairs and installations should be performed by a trained air conditioning technician. At Apex Airconditioning we pride ourselves on our knowledge and highly trained technicians. If you would like to learn more about how Apex Airconditioning can help make your office environment more comfortable then contact us today!